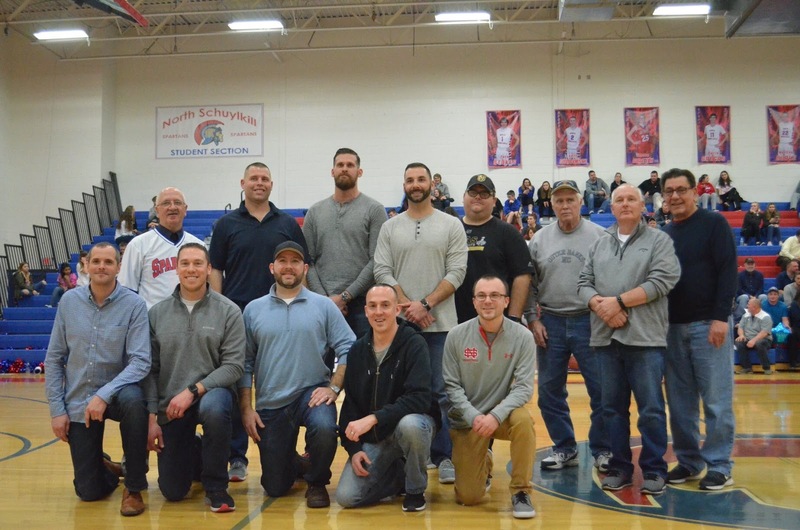 On Friday night, the North Schuylkill Spartans recognized the 1998-1999 Boys Basketball Team. 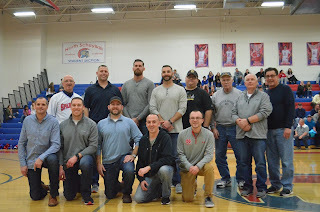 The team was recognized 20 years after the team won the District XI Class AAA Championship. The team went 18 straight wins that season and also won the Schuylkill Haven Tip Off Tournament as well as the Northampton Holiday Tournament. Gino Capone, a senior at the time, made 1st Team All Area and John Rizzo, a junior at the time, made 2nd Team All Area. Both went on to score over 1,000 points. Coach Anthony Chatkiewicz also earned All Area Coach of the Year honors. Back Row: Coach Anthony Chatkiewicz, Gino Capone, Glenn Weinrich, John Rizzo, Daniel Thomas, Assistant Coach Robert Wetzel, Assistant Coach John Chernewski, and Assistant Coach Dennis Kergick. Also recognized but not attending were Matt Holden, Bobby Moyer, Kyle Seidel, Trevor Hassenbein, Matt Devlin, Joe Hart, Jonah Kuehner, Bill Maczees, and John Murphy.